"Cartoon Network Enterprises signs a licensing Deal with Vanesa Care"
Cartoon Network Enterprises (CNE), the licensing and merchandising arm of media conglomerate Turner International India has partnered with Vanesa Care, a trusted and reliable Personal Care manufacturing company in India, to launch a range of ‘DENVER Superman’ deodorants for the first time in India. The DENVER Superman deodorants come in two unique variants - Power & Strength. Priced at Rs. 250/- the products will be available in stores across India. The DENVER Superman Power deodorant has an intense yet soothing, masculine yet gentle fragrance imbibing the characteristics of Superman. It is a magnetically attractive fragrance which is fresh with a sensual blend of sparkling grapefruit and orange. This power fragrance is epitome of grace and has a dominating presence. The DENVER Superman Strength deodorant is a woody aromatic fragrance. It aims at ambitious young men who realizes their aspiration and strives for new challenges. Further Saurabh quip, The aim of Vanesa Care is to be the leader in Personal Care in India and other parts of the World where-ever it endeavors. Even after tough competition in the market, DENVER has been performing consistently and growing @ 35% year on year with innovation across category. DENVER range of best quality personal care products have been used and trusted by Men for years and become famous all over the world particularly for deodorant body spray, which keeps one fresh for long! 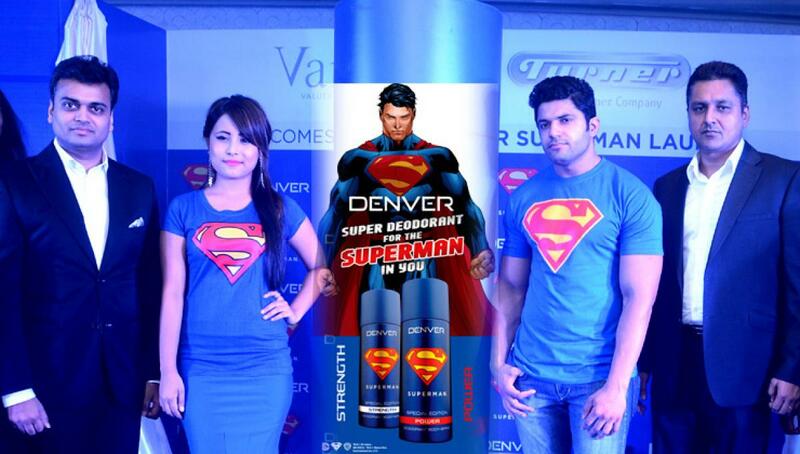 Now, with Denver Superman Deodorants unleash the super hero in you!